Tagline: "It's Time To Spill the Beans"
Candyman: The David Klein Story is a documentary about the man who invented gourmet jelly beans, and for anyone out there who might be thinking a movie about candy couldn't possibly hold their interest, think again. Candyman is an absolute delight. David Klein's mark on jelly bean history stretches back to 1976, when he first approached the Herman Goelitz Candy Company to manufacture a new type of jelly bean, one infused with more flavor than any that came before it. Sales of this new jelly bean, which David was marketing as “Jelly Belly”, were slow at first (probably due to the $2 a pound price tag), but with Klein's talent for promotion, his jelly beans soon became a hit. By 1980, Klein had sold the Jelly Belly trademark to Goelitz for $4 million. Today, Jelly Belly, which is headquartered in Fairfield, CA, is worth in excess of $100 million. These are the facts. 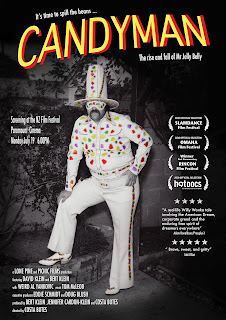 Candyman: The David Klein Story takes us beyond the facts, beyond even the jelly beans, to introduce us to the man behind them, and what we learn is that David Klein is both a master showman, and a good man. As a showman, he built Jelly Belly into a nationwide phenomenon, and as a good man, he didn't so much as raise his voice when they took it all away from him. In part, Candyman was made to set the record straight. 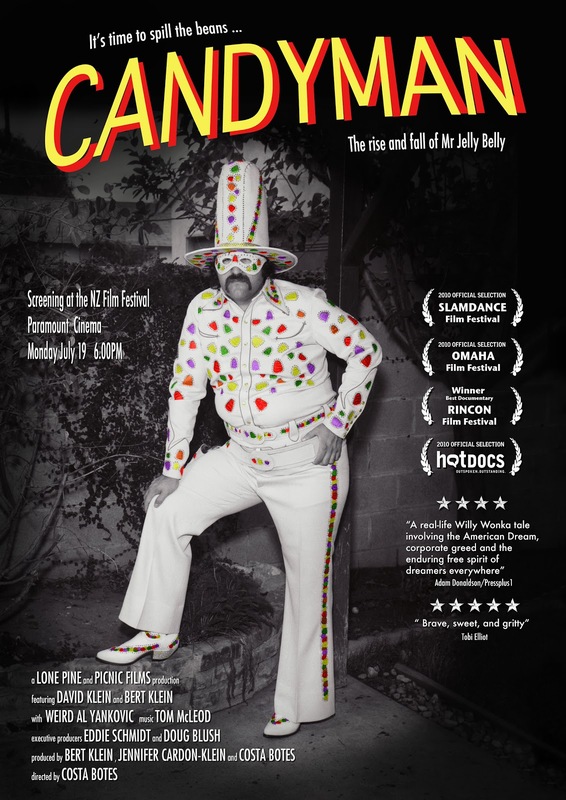 For 4 years, David Klien worked tirelessly pushing his creation, pouring everything he had into making Jelly Belly a success (the movie contains a clip from The Mike Douglas Show, in which Klein is wearing an Elvis-style jumpsuit covered with jelly beans). Today, there's no mention of David Klein in any “official history” of the Jelly Belly corporation; it's as if those 4 years never happened. With plenty of archive footage, Candyman proves, once and for all, that they definitely did happen. Yet giving David Klein his due was only one of the accomplishments Candyman pulled off. Co-produced by David's son, Bert, Candyman also sets out to show us the inherent goodness of the man. Even today, Klein continues to help young entrepreneurs get their businesses off the ground, and, on his birthday, rents an ice cream truck so that he can give away free ice cream to children. With a focus on both history and humanity, Candyman paints as complete a picture of David Klein as it possibly can. As we see time and again in this film, there's more to David Klein's story than just candy, and it's this “more” that makes Candyman such an endearing film.